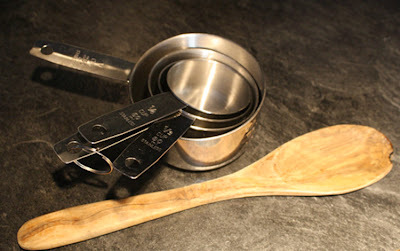 Hi everyone and welcome to the first post on what will be the worlds most amazing porridge blog! 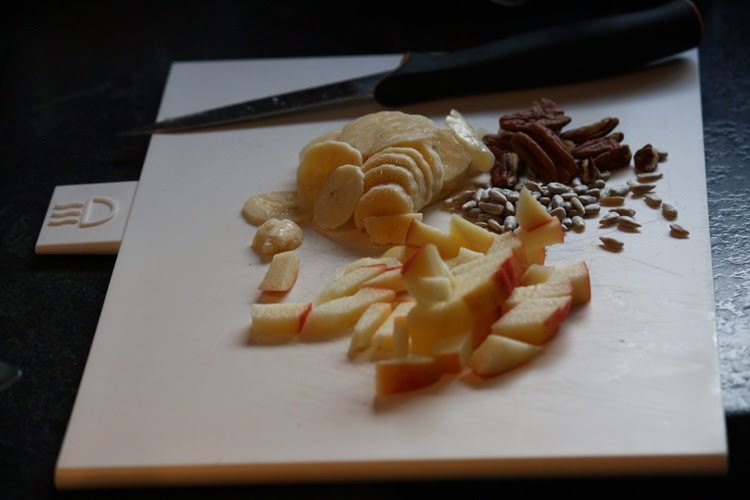 We're going to start right off with a super-simple basic porridge recipe. Please comment and help us make this blog as useful and inspiring as possible. Let's go! 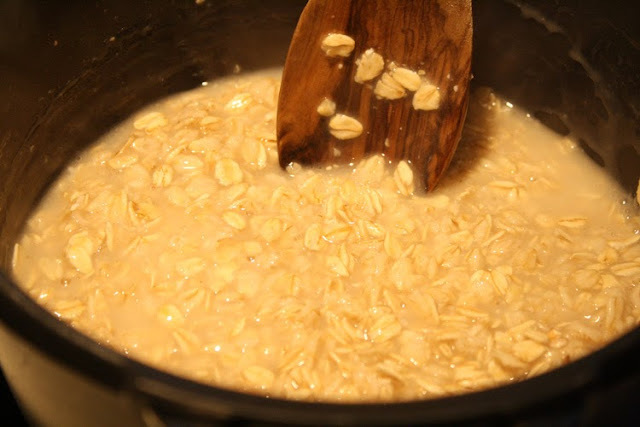 Put the oats in the pan and add enough water to cover the oats, or a little more. It's not super-exact because you'll be stirring and adding all along - as long as there's enough water so the porridge doesn't burn to the bottom of the pan you'll be fine. You can use a high temperature to bring it to a boil, then lower the heat to bring it down to a simmer. When most of the water has been absorbed, put in some more. I usually use water first and milk towards the end because milk burns or boils over more easily. Add a pinch of salt. I probably wouldn't go for anything less than 1/2 a teaspoon for this amount - porridge without salt must be one of the reasons so many people don't like porridge! The picture above shows the porridge at an early stage - the oats and the liquid are still quite distinct from each other. When you've used most or all of the water you can start adding milk. How much of each you use is a question of taste - I usually use 2%milk and go half-and half with water and milk. That makes the porridge yummy, not too thin, not too rich. The amount of liquid is also a matter of choice. 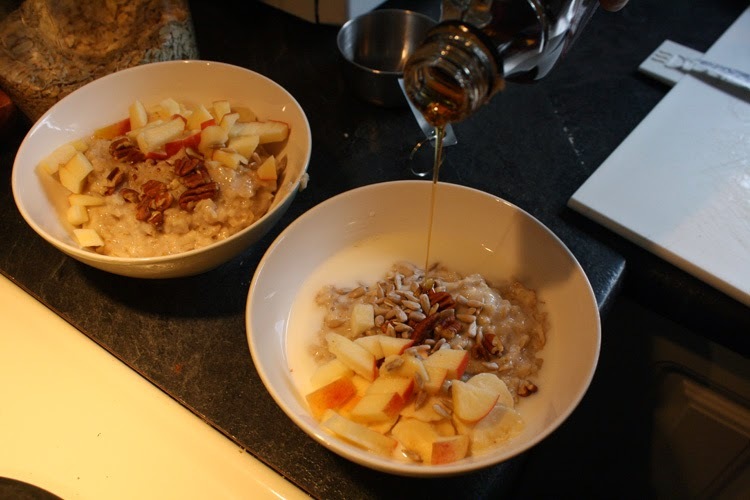 A bit less makes for more compact porridge, a bit more gives a smoother texture. 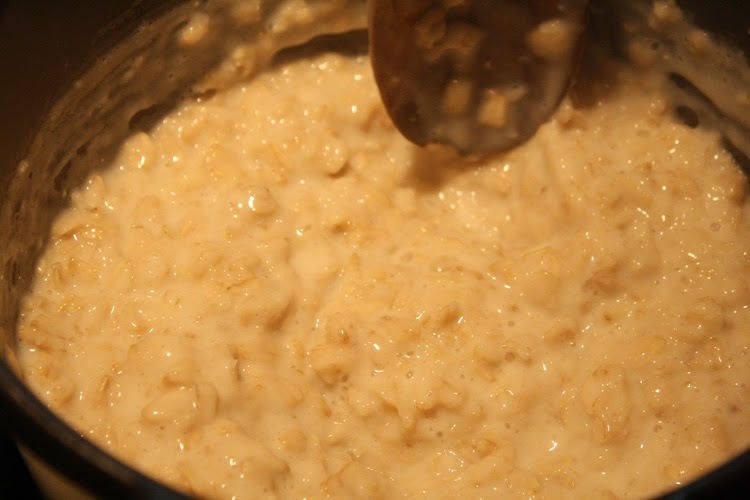 Keep adding milk and stirring until the texture gets as thick and smooth as you want. This is the porridge at a late stage - almost done if you like it a bit al dente, so you can still feel the texture of the oats. For this post I only cooked it for about another minute. When the porridge has the texture you want, take it off the stove and let it stand for just a minute or two with the lid on - this makes it just a little bit fuller and thicker. Add some fruits, seeds and nuts to make the meal more nutritious and interesting. And some maple syrup and milk to make it luxurious!